Home / Body / Weight Loss Hypnosis: Does it Work? Over the last 10 years there has been an increasing interest in weight loss hypnosis. With Oprah and Shape Magazine along with many well known celebrates raving about the benefits of Weight Loss Hypnosis, many people are asking the question: Does Weight Loss Hypnosis Work? Well the clinical studies say the answer to this question is YES! Several clinical studies have shown that hypnosis is incredibly effective for weight loss. One study showed that Hypnosis was 30 times as effective as any other traditional method and another showed hypnosis subjects were 90% more effective in losing and keeping of significant weight 2 years after the program than cognitive behavioral techniques, self monitoring and goal setting techniques. Now with the evidence behind us, how exactly does hypnotherapy work and produce such excellent results. Well let’s first define hypnotherapy. For many hypnosis still brings up images of standing on stage doing outrageous things under the influence of a stage hypnosis. However this is very different from therapeutic Hypnotherapy. Dr. Spiegel the Director of Integrative Medicine at Stanford University defined hypnosis as a state of highly focused attention with a suspension of peripheral awareness. It’s something like looking through a telephoto lens of a camera. What you see, you see in great detail, but you are less aware of the context. That state of highly focused attention can be used for many therapeutic purposes. 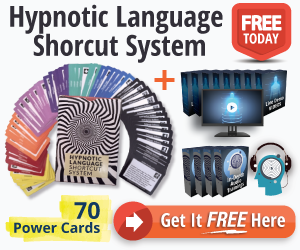 For a successful weight loss hypnosis this focused state of attention is utilized in two major ways. The first is suggestive hypnosis. Here, several suggestions regarding eating better, exercising, positive self image are given to the client while they are in the hypnotic state. The second kind of hypnosis is analytical hypnosis, in this state the deeper aspects of weight loss are explored, when and why did weight gain begin, what are the emotional reasons if any, what is the relationship between eating patterns and self esteem. When working with clients I always employ this two step process so that both habitual patterns and the subconscious aspects that motivate weight loss are addressed. This is what separates weight loss hypnosis from many alternatives. There is a wide spread misconception that losing weight is just a matter of will power. When in most cases, the emotional and psychological factors are far more powerful than the conscious desire to lose weight. These factors usually come into play in the formative years of development and adolescence when a person is most suggestive to forming beliefs. Often low self esteem, depression and anxiety form along with weight gain as a protective mechanism after certain experiences that may have been painful. This then turns into habitual patterns of comfort eating and lack of exercise. The subconscious mind then ‘motivates’ the person to maintain this pattern to protect against emotional pain. Hypnotherapy works with these subconscious patterns allowing the individual to heal these emotional wounds. In doing so they are easily able to adopt new healthy eating patterns and lose weight easily and maintain the preferred weight over time. In this way hypnotherapy is not only highly effective for weight loss but in addition provides deeper emotional transformation and mental health. With clinical evidence to back and increasing spotlight in the media, weight loss hypnosis is poised to be in great demand. Davita is the founder of the Infinite Potential System© and is Clinical Hypnotherapist, Empowerment Counselor and Motivational Speaker. She created the Infinite Potential System to offer a science based approach to goal actualization utilizing Hypnotherapy, Cognitive Behavioral therapy and Mindfulness. This 90 Day Program is based on the principle of neuroplasticity, rewiring the brains thinking patterns; giving individuals the capacity to achieve their relationship, career and well being goals and live a self realized, purposeful, fulfilling life.